Charlotte-Mecklenburg Schools will hold the 2017 Teacher Job Fair April 29 from 9 a.m. to 1 p.m. at the Park Expo and Conference Center, 800 Briar Creek Road, Charlotte. Administrators from more than 160 schools will be interviewing and selecting candidates for licensed/certified positions, including teachers, media specialists and school counselors. The district welcomes candidates from in and out of state. Register here. 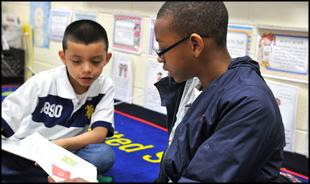 Charlotte-Mecklenburg Schools’ district-wide commitment to literacy includes demonstrating literacy as well as teaching it. CMS Bookmarks looks at what our employees are reading. This edition features Deena Aglialoro, who joined CMS more than three years ago. She teaches English Language Arts at Ranson Middle. Aglialoro is originally from Goshen, N.Y., and taught in New York and Florida before joining CMS. She is a middle child with two brothers and loves reading, writing and working out. She competes in mud runs, including Spartan Race and Tough Mudder. 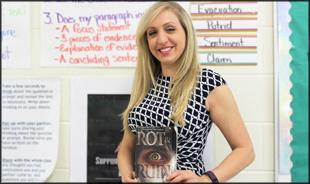 Click here to learn more about Aglialoro and her choice of books. Charlotte-Mecklenburg Schools held its 10th annual CMS Faith Summit March 30, convening with 85 houses of worship and asking them to renew their commitments to meeting the needs of students. Two hundred members of the interfaith community attended the summit, held at Forest Hill Church. Read more. Seventeen magnet schools in Charlotte-Mecklenburg Schools have been recognized by Magnet Schools of America (MSA), the national association for specialized programs. The awards are given to schools that show a strong commitment to academic standards, demonstrate curriculum innovation and have diversity in enrollment. Read more. The English Language Services department held the International Day of Learning, a Title III family event, April 1 at Phillip O. Berry Academy of Technology. 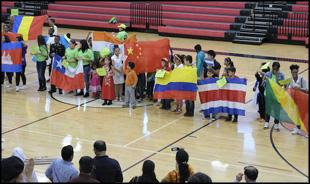 The event was for students and families who speak a language other than English at home. Resources and information were shared with parents to help them support children academically. The event also built awareness of community support organizations and celebrated the cultures of all students in Charlotte-Mecklenburg Schools. Students in 14 bands, orchestras and choruses from Charlotte-Mecklenburg Schools were featured in “A Musical Showcase” March 20 at the Belk Theater in the Blumenthal Performing Arts Center. The inaugural music competition was sponsored by Charlotte Concerts and a grant from the Leon Levine Foundation. The competitors included the following groups: Alexander Graham Middle Campana (an a cappella choir), Ardrey Kell High Wind Ensemble, Butler High Jazz Ensemble, Community House Middle Eighth-Grade Band, East Mecklenburg High and Northwest School of the Arts combined Women’s Chamber Choir, Hough High Howlin’ Huskies (a show choir), McClintock Middle Advanced Chorus, Providence High Chamber Winds, South Mecklenburg High Chamber Orchestra, Southwest Middle String Orchestra, Torrence Creek Elementary fourth- and fifth-grade choir The Quarter Notes, Waddell Language Academy Elementary Choir, West Charlotte High Chorale Ensemble and Windsor Park Elementary Orchestra. The fourth annual Race2Educate 5K and Fun Run was held April 1. 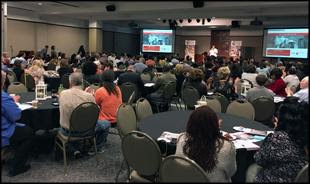 The event, presented by Chick-fil-A University Place and University City Connect, provides student scholarships. Last year, more than $20,000 in scholarships was provided to students at the four Governor’s Village schools: Nathaniel Alexander Elementary, Morehead STEM Academy, James Martin Middle and Vance High. This year, the program was expanded to include Hidden Valley, University Meadows and Newell elementary schools and Martin Luther King Jr. Middle. Download the CMS mobile app and stay connected with Charlotte-Mecklenburg Schools. Access the latest news, updates, calendars and more anytime, anywhere. 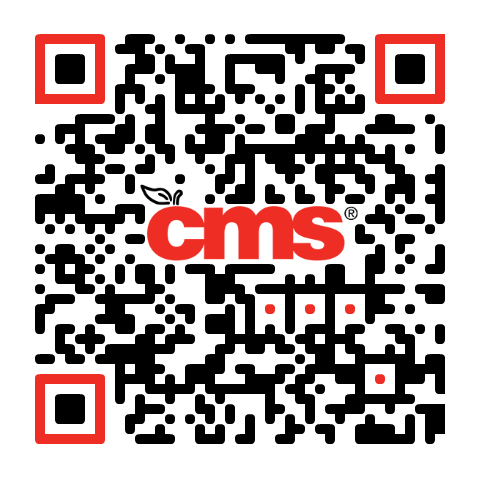 Visit bit.ly/cmsapps from your mobile device or scan the QR code at right to download. Available for both Apple and Android devices.